The reason we must stay with the Scriptures is because it is the only place where we are told that we are saved by the unprovoked and undeserved acceptance of God. In "The Sound of Music," Maria (Julie Andrews), bewildered by the captain's sudden attraction to her, rhapsodizes, "Nothing comes from nothing, nothing ever could. So somewhere in my youth or childhood, I must have done something good." Deep down, human nature is convinced that there is a way for us to save ourselves. We may indeed require divine assistance. Perhaps God will have to show us the way, or even send a messenger to lead us back, but we can actually follow the plan and pull it off. Russell Spittler, a Pentecostal theologian at Fuller Seminary, reflects on Luther's phrase concerning justification: simul iustus et peccator, (simultaneously just and sinner): "But can it really be true--saint and sinner simultaneously? I wish it were so. Is this correct: 'I don't need to work at becoming. I'm already declared to be holy.' No sweat needed? It looks wrong to me. I hear moral demands in Scripture. Simul iustus et peccator? I hope it's true! I simply fear it's not." 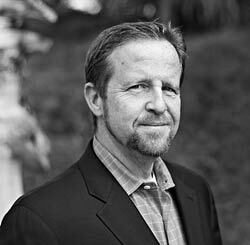 Dr. Michael Horton is professor of apologetics and theology at Westminster Seminary California (Escondido, California). Please include the following statement on any distributed copy: This article originally appeared in the Mar / Apr 1994 edition of Modern Reformation and is reprinted with permission. For more information about Modern Reformation, visit www.modernreformation.org or call (800) 890-7556. All rights reserved.